Web Summit is a unique event with a huge networking potential for startups, where a strong will of investors to be a part of new business ideas can be seen. The conference is also hosting several national and international government organizations, that want to show their full support to entrepreneurship in several ways. The Contest GREAT Competition launched by Colt, supported by UK Department for International Trade, and addressed to the start ups of Portugal, the hosting country of Web Summit, is one of those ways. Well, if you are a Portuguese start-up you can get your dreams off the ground with a four-month period of incubation in the UK. The GREAT Competition organized by the Department for International Trade (DIT) and COLT Technology Services on occasion of the Web Summit 2017 in Lisbon, the largest technology conference on the planet, could provide you with this and much more. Interested? If you wish to set up and grow your business in the UK, then apply for the GREAT Competition and submit your business plan for a chance to win an incubation program in the UK, tailored to your specific needs. Your business can gain access to mentors, investors and more through the intensive and tailored mentorship incubation program that the Department for International Trade provides to help you locate and expand your business in the UK. 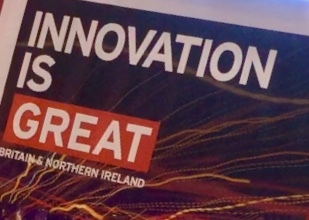 By working with sector specialists, mentors, external consultants and existing entrepreneurs, the Department for International Trade puts itself at the forefront of small business incubation in the UK by providing help for early-stage businesses on all fronts, including management guidance, technical assistance and professional expertise and advice. Consulting and mentoring from industry specialists and COLT communications will help speed up the growth of your start-up company and guide your entrepreneur-driven venture to commercial success. The prize is a four-month incubation assistance program in the United Kingdom, offering concrete resources to foster your ideas and early-stage projects. The winner company will be awarded a cash prize of €4,000, including travel vouchers and COLT business communications services to be used in the UK or Portugal. This contest is open to all Portuguese registered companies that plan to expand and build a presence in the United Kingdom within the next 18 months. Wanna be the next start-up that DIT and COLT will take under their wing? Submit your business plan to the Department for International Trade at investuk.lisbon@fco.gov.uk by November 20th. Applications sent via other channels, like Facebook, LinkedIn and other social platforms, will not be taken into consideration. your goals for the UK market. The GREAT Competition winner will be announced in January and the four-month period of incubation in the United Kingdom will take place in 2018, in the first quarter of the year. Should you have any questions about the GREAT Competition, please contact the Department for International Trade at investuk.lisbon@fco.gov.uk.